Delicate sensitive baby skin can get easily irritated by rubbing and chaffing. 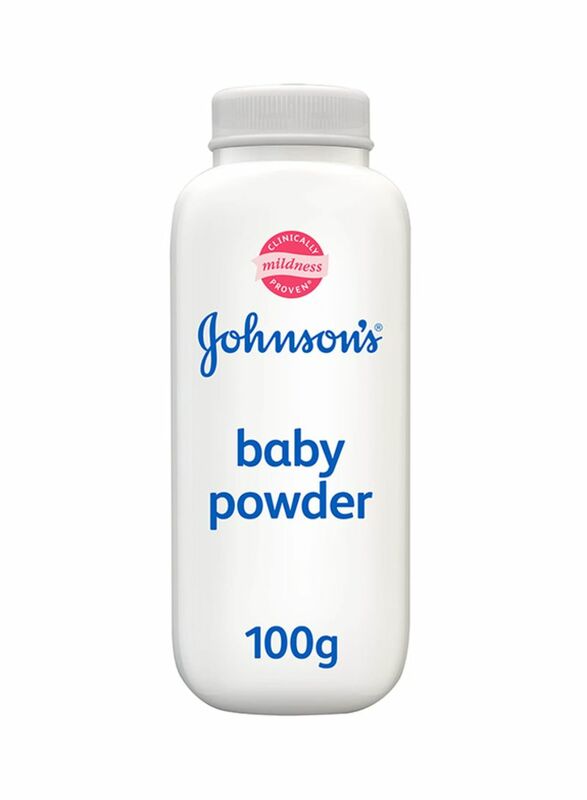 JOHNSON’S Baby Powder creates friction-less layer to keep your baby’s skin healthy and silky-soft. With a clean, classic scent, JOHNSON’S Baby Powder is incredibly soft baby and glides over your baby’s skin to eliminate friction and leave it feeling delicately soft and dry while providing soothing comfort. For baby, use after every bath and diaper change. For you, use anytime you want skin to feel soft, fresh, and comfortable. Shake powder directly into your hand, away from the face, before smoothing onto baby’s skin. Close tightly after each use and store in a cool, dry place. Keep powder away from child’s face to avoid inhalation, which can cause breathing problems. Avoid contact with the eyes. For external use only. Keep out of reach of children. Do not use if quality seal is broken.